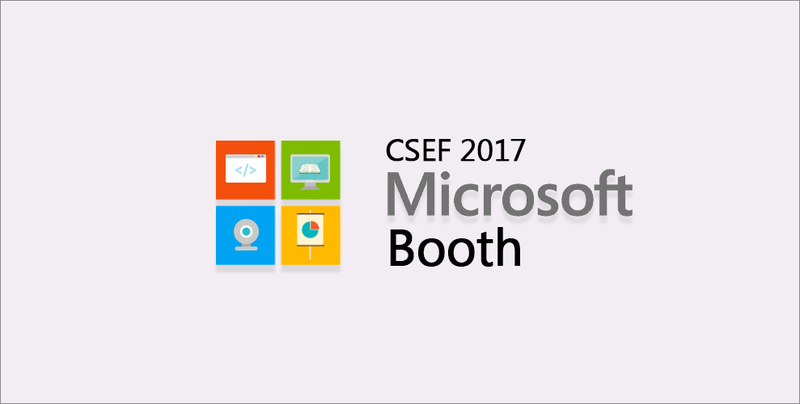 | Microsoft Encourages Interactive Tech Learning at 2017 Cambodia Science & Engineering Festival. With an overwhelming response of over 23,000 participants, the Cambodian Science and Engineering Festival (CSEF) recently ended its third run with huge success. This 3-day event, bustling with hands-on activities and various outdoor booths, is Cambodia’s largest celebration of science, technology, engineering and mathematics (STEM). Geared towards youths, the festival was created upon the belief that the limitless wonders of STEM should be discovered in a fun and interactive way. 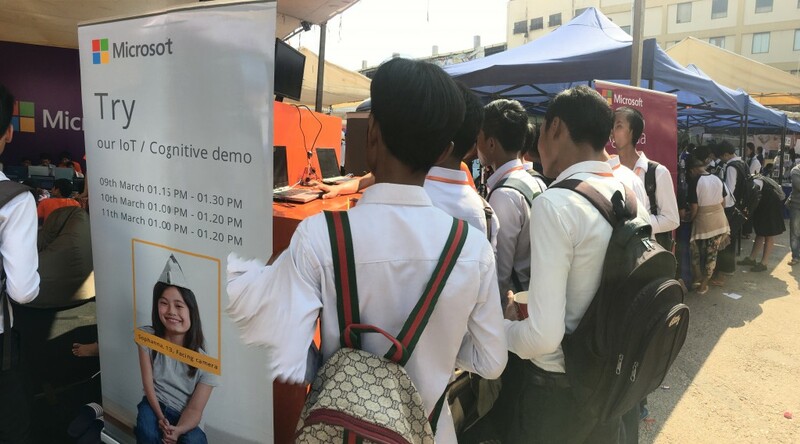 Being one of the major players in the country’s budding tech and digital scene, Microsoft joined in on the festivities and had their very own booth in this fun-filled celebration to make tech education more accessible to participants. The booth had a total of four interactive and engaging activities across the three days that focused on being educational, informative and most importantly, entertaining and enjoyable for the youthful participants. Children trying their hands at Microsoft’s ‘Hour of Code’ activity. With the central theme of hands-on fun in mind, ‘Hour of Code’ appropriately kick-started the days’ activities with an hour-long coding tutorial taught through the adventure-themed block game, Minecraft. The gamified twist saw participants learning how to code by programming the movements and actions of their in-game character. Certificates and candies were then given out after the completion of the interactive tutorial. This refreshing approach makes the teaching of the aged language of computer programming more engaging by establishing an end goal for participants to achieve. It also made learning and retaining the information easier on the participants’ part as they could associate the various codes to the actions they saw on screen. Following that were 10-minute pocket presentations on a variety of topics ranging from YouthSpark, Microsoft’s global initiative to make computer science accessible to youths, to tips and tricks on using Microsoft programmes. Quick, informative and educational, these presentations were a nice transition into the “Live Your Story” Challenge. Held twice per day, registered teams of three were given a simple story that they had to bring to life through images. To do so, they had to search for the most similar image to the scenario with ‘Bing’, before saving it and inserting it into PowerPoint to complete the story. Their stories could also be supplemented with animations and texts. The challenge was to have the best storytelling PowerPoint in 30 minutes, and winners were given exclusive Microsoft goodies. Staying true to the “educational fun” theme, this activity was more than just a challenge to dish out presents. It was an interactive way of learning how to navigate the Internet and presenting information found on slides, which is a necessary skill when entering the digital and tech industry. Microsoft showcases their IoT technology in their Cognitive Demonstration activity. Now, imagine standing in front of a webcam, and having your age and emotional state displayed to you on a computer screen without even having to lift a finger? Sounds like a scene out of a science fiction movie? Well, Microsoft’s Cognitive Demonstration activity made it a reality, working wonders with its IoT technology and drawing in a total crowd of 400 participants. 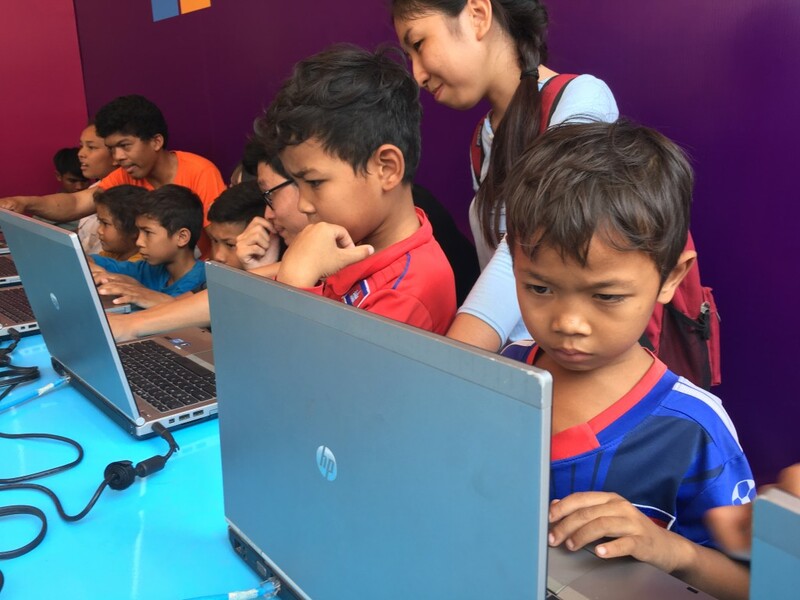 In the 3 days of this festival, Microsoft’s booth was a show of their support and aid to the tech scene in Cambodia, bringing digital skills to the locals through a series of hands-on activities. It is heartening to see that many left the tent with a smile and additional skillsets learnt. Even more heartwarming is that in spite of the heat that Cambodian weather brings during this period, the numbers to such outdoor tech booths and events have not dwindled, but risen over the years. We strongly believe that this is a sure sign of a rising interest in the technology scene in the Kingdom, and hope to see other major tech players following in Microsoft’s footsteps and contributing to growing the tech community in the country.